Martyn Frampton’s The Muslim Brotherhood and the West: A History of Enmity and Engagement is unparalleled in its breadth, erudition and ambition. Frampton presents a nuanced and detailed picture of the relations between the Muslim Brotherhood (MB) and the West, which here means primarily the US and the UK, in the period between the Brotherhood’s establishment in the 1920s and the Arab Spring. This study is exceptionally well sourced: Frampton has not only read most of the relevant material located in British and American archives, he also interviewed Brother-hood figures and studied material produced by the MB and its activists themselves, such as autobiographies, pamphlets, brochures and the like. The book is split into two parts. The first focuses on the relationship between the MB and the British from the MB’s founding in 1928 until the Suez Crisis in 1956. The second concentrates on the Americans, who succeeded the British as the dominant Western power in the Middle East. Frampton shows how the MB’s perception of the West, its Occidentalism so to speak, was shaped by its founder Hassan el-Banna (1). He perceived the West as the essential “other” of the East, which to him was equal to Islam. In his view, Western civilization was materialistic and devoid of any spirituality. And yet, despite having abandoned Christianity, it was still possessed by a “Crusader spirit” to destroy Islam. It is worth adding that such ideas were popular at the time and had been voiced be-fore by Rashid Rida, a pioneer of political Islam and a friend to el-Banna (2). El-Banna had been deeply impressed by the 1919 nationalist revolution and by the unity of the people he witnessed in the struggle, a spirit he sought to reproduce in his imagined worldwide Islamic community, the Umma. However, many were excluded from this vision. Alongside the sizable non-Muslim minority in Egypt, urban Muslim Egyptians who welcomed Western culture and entertainment earned el-Banna’s special ire. Moreover, although el-Banna styled the Brotherhood as a purely Islamic, neo-Salafi movement, Frampton demonstrates that he was not immune to Western influences. Culturally pessimistic European literature, such as Oswald Spengler’s bestselling ‘The Decline of the West’, which described Europe as being in terminal decline, seems to have had a special impact on him. Furthermore, el-Banna justified his fantasies of an Islamic world conquest by citing Mussolini’s and Hitler’s expansionist policies as positive examples. The British only became aware of the MB in 1936, when the group became involved in the Arab Revolt in Palestine (1936-39), one of its core issues ever since. When British appeals to the government to clamp down on the group proved ineffective, they tried to bribe el-Banna, with immediate but not lasting success. After World War II, the Brotherhood’s Special Apparatus, its military wing, took up the armed fight against the British. Then the nationalist Free Officers led by Gamal Nasser came to power in Egypt in 1952, abolishing the constitutional monarchy. Many of the group’s members were close to the Brotherhood. Nonetheless, Nasser soon moved to suppress his erstwhile allies. Western diplomats had no doubts that Nasser’s Arab Nationalism would emerge triumphant from this strife and repeatedly sought to endear themselves with the Egyptian strongman. However, in 1958 the Eisenhower administration decided to coopt Islam against Nasser after the latter’s rapprochement with the Soviet Union. US support was mostly directed at Saudi Arabia and not to the MB and its offshoots. Generally, Frampton argues, the MB and Islamism enjoyed little sympathy in western diplomatic circles until the 1970s. They saw the MB as a reactionary group which was destined to disappear. The Americans and the British where therefore surprised when the MB staged a coup attempt in 1965, proving the vitality of the movement. With the decline of Arab Nationalism after 1967, Western observers now became convinced that the MB’s eventual rise to power was unavertable and that engagement was therefore imperative. Still, the US remained committed to its alliance with the Egyptian regime after Camp David in 1979. 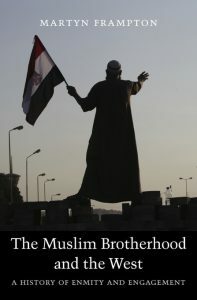 The last chapter of the book deals with the numerous efforts to engage the Muslim Brotherhood since the end of the Cold War. With the increased presence of Muslim immigrants in Western countries, the approach towards the MB moved from being a purely foreign affairs issue to being equally a domestic issue. In the 1990s and 2000s, groups and activists affiliated to the Brotherhood set up numerous bodies in Western countries, such as CAIR in the US or the MAB in Britain. After 9/11, these groups gained greater political weight. They pursued a strategy of engaging with the authorities, claiming to speak for the interests of the larger Muslim community. These groups also liaised with local political groups, such as the anti-war movement in Britain, and took up new causes. The fight against what they claimed to be widespread enmity towards Islam in Western societies, or Islamophobia, not entirely different from el-Banna’s claim of a Western war on Islam, now became central to their messaging. In the last chapter, Frampton presents evidence that in a parallel process, the ac-commodationists again gained the upper hand in Western policymaking. In the mid-2000s, the British forged closer links with the MB, believing them to be a partner against more extreme Islamist and Salafi-Jihadist groups. In the second term of the Bush administration, the Americans also tentatively relaunched their dialogue with the MB, which they had closed after 9/11. The Obama administration reached out towards the MB in a more systematic manner and initiated the Countering Violent Extremism (CVE) program, which collaborated with groups close to the MB. Frampton’s book demolishes the popular narrative that the West consistently sup-ported political Islam against so-called “progressive” movements (3). It confirms what others have shown before: American diplomats and intelligence officials felt drawn towards the modern, Arab nationalist vision of Gamal Nasser, not the calls for a “re-turn to Islam” of el-Banna (4). Still, the British and later the American approaches to-wards the MB were in fact far from consistent, depending on whether those who saw the movement as a possible partner (the “accommodationists”) or those who saw it as an implacable enemy of the West had the upper hand in foreign policy making. Frampton impressively shows how longstanding clichés repeatedly clouded the judgement of Western diplomats on the MB. There is the perpetual quest for “moderates” – even when there are none – and a compulsive need to see the world partitioned between “moderates” and extremists”. Frampton warns that MB activists are aware of these Western clichés and are ready to exploit them. Nor does willingness to talk with the West imply an openness towards its culture: Quite the contrary: “Indeed, the most ideologically committed can often be the most ruthlessly pragmatic, ready to do whatever it takes to advance their cause.” (5) Despite the MB’s frequent interactions with Westerners and even the emigration of many of its key figures, modern MB leaders still frequently speak of the West as Islam’s nemesis in the same terms as el-Banna did ninety years ago, proving that engagement with the group failed to have any lasting effect on its ideology. 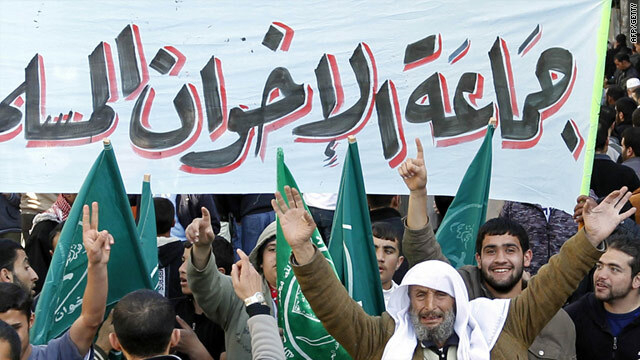 In sum, The Muslim Brotherhood and the West is not only relevant to academics, but also to diplomats and other professionals dealing with Islamist movements. Hopefully they will learn to avoid common traps and clichés. (1) See Ian Buruma and Avishai Margalit, Occidentalism: The West in the Eyes of Its Enemies, Kindle E-Book (New York: Penguin Books, 2005). (2) See also Daniel Rickenbacher, “Der jüdisch-westliche “Krieg gegen den Islam“ – Genealogie und Aktualität einer islamistischen Verschwörungstheorie,” in Antisemitismus im 21. Jahrhundert, Virulenz einer alten Feindschaft in Zeiten von Islamismus und Terror, ed. Marc Grimm and Bodo Kahmann (Berlin, Boston: De Gruyter Oldenbourg, 2018). (3) See for instance Robert Dreyfuss, Devil’s Game: How the United States Helped Unleash Fundamentalist Islam, Reprint edition (New York; London: Metropolitan Books, 2006). (4) Hugh Wilford, America’s Great Game: The CIA’s Secret Arabists and the Shaping of the Modern Middle East, 1 edition (New York: Basic Books, 2013). (5) Martin Frampton, The Muslim Brotherhood and the West: A History of Enmity and Engagement (Cambridge, Massachusetts: Belknap Press: An Imprint of Harvard University Press, 2018), 464.